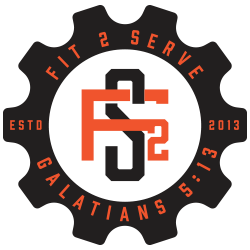 In CrossFit, we recognize that the functional needs of men, women and children vary by degree, not by kind. At Fit 2 Serve, we have found that some women feel more comfortable pushing themselves and improving their own fitness levels when they are in an environment in which they feel comfortable. And for some women, that means a class with other women. While every class taught at Fit 2 Serve offers a “safe space” (physically and emotionally) for learning new movement and improving fitness levels, we have discovered that many of our female athletes have benefited significantly from being surrounded by other women. 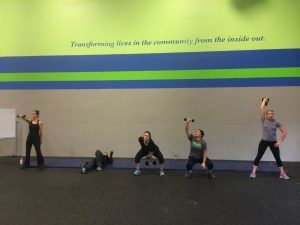 This is no “watered-down” or “lite” CrossFit class…the programming for the Fit 2 Serve Women’s Only classes is the same that is employed in the co-ed classes, and can be scaled or modified according to each athlete’s ability. Workouts are performed at the highest intensity that each individual can sustain with good form and technique, which is taught and reinforced throughout class. Some women are more comfortable in a ladies-only setting and, find it easier to focus on their workouts and compete with themselves in the presence of other women. Other women have found that this class time works well with their schedule. All levels are appropriate and accommodated in this class.